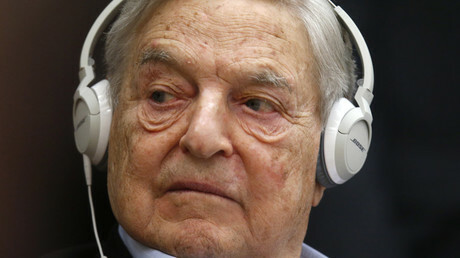 George Soros, the billionaire investor whose own native country of Hungary accused him of “betraying Europe” by supporting refugees escaping war-torn regions of the Middle East has turned around and blamed Vladimir Putin for the humanitarian crisis. In an opinion piece released last week, Soros seeks to prove that President Putin was working “to foster the EU’s disintegration” by flooding the continent with refugees, allegedly as a result of the Russian military’s foray into Syria where it has dealt a lethal blow to Islamic State forces. George Soros is no fool, of course. He will go down in the history books as “the man who broke the Bank of England” – an achievement that, while conspicuously lacking a moral chromosome and ethical outlook, took no small amount of mental finesse to pull off. And that’s why Soros’s anti-Putin rant is so strange: it is so illogical and blatantly wrong-headed - to the point where a sense of desperation oozes between the lines. Unsurprisingly, this line of rubbish failed to hoodwink the overwhelming majority of readers – which Soros apparently believes are too ignorant to connect the dots between Syria, Russia and Europe. Indeed, it was sheer entertainment perusing the Guardian’s reader comment section following the article, which proves Soros seriously underestimates his audience’s grasp of geopolitical issues. To that succinct comment I would add the question: If Soros really thinks it such a horrible thing that refugees from the Middle East and beyond are storming the gates of Europe, why has he been advocating on behalf of just such a scenario for many years now? In it, he expressed bewilderment that “each member state [of the EU] has selfishly focused on its own interests” to the point where the asylum seekers “have been the main victims” (Incidentally, I’ve yet to hear Soros come out and defend the hundreds of German women who were sexually assaulted by refugee men during the course of New Year’s Eve celebrations). As my colleague Lionel would say, let that comment marinate for a moment: "The EU has to accept at least a million asylum-seekers annually for the foreseeable future?" Now take a second and perform a simple reality check and ask, Which individual is really seeking the disintegration of Europe: George Soros, with his Open invitation to every asylum seeker in the Middle East and beyond (it has already been exposed in the German media that the majority of asylum seekers entering Europe do not come from Syria, but are predominantly from other countries that were previously torn asunder by US-backed military offensives/adventures, most notably Afghanistan, Iraq, Libya) or Russian President Vladimir Putin, who was formally invited by Damascus to initiate a military offensive against ISIS forces, which up to that point had not been noticeably weakened despite Western claims that it was fighting the terrorist organization? 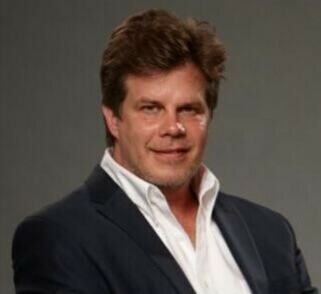 Furthermore, what would Russia stand to gain by flooding the European continent – of which it is a geographical part of – with desperate asylum seekers, many of whom may actually be card-carrying members of lethal terrorist organizations like al-Qaeda and Islamic State? Finally, Russia’s economy would hardly recover anytime soon if Europe - its largest trading partner - is somehow reduced to violence, sectarian strife and chaos as Soros somehow asserts. Given Soros’ powerful influence and clout among some European bureaucrats, it seems his outrageous anti-Russia position has gained some traction among some predictable circles. This is especially the case with German Chancellor Angela Merkel, who is desperately in need of a scapegoat for the refugee crisis as far-right nationalist groups, like Pegida, are enjoying a groundswell of public enthusiasm – not just in Germany but also across Europe. Yes! With a wave of Merkel's magic wand, no more unsightly photo opportunities from nosy journalists featuring throngs of unwashed hordes storming the EU gates. Why, that would have derailed George Soros’ – oops, I mean Vladimir Putin’s – plan to overrun Europe with a future low-wage labor pool and a divide-and-conquer carnival. Just what Europe needs as their venal leaders – in reality, nothing more than mindless technocrats – enforce harsh austerity measures on young and old alike. Merkel just cut through all the unsightly mess and awarded the refugees frequent flier mileage points right smack into the heart of Europe – where they will be paid €15,000 ($16,800) each if Soros gets his way – courtesy of European taxpayers – that is, those who are still employed and can pay taxes. 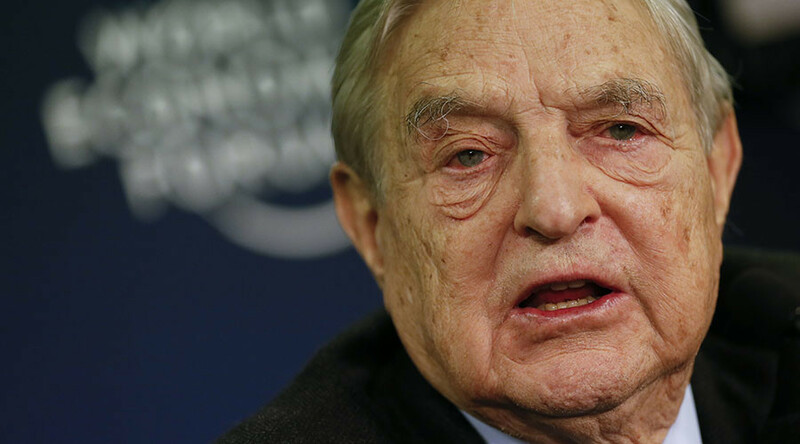 Meanwhile, last but not least, Soros rarely spouts venom at Turkey, Saudi Arabia and all of the other usual suspects who are in some way complicit in the extremely curious rise of Islamic State, a group of savages, we are led to believe, that possessed enough business savvy to become the owners and operators of a lucrative oil business, exporting vast amounts of Syria’s finest right past the Turkish border and into European gas tanks. 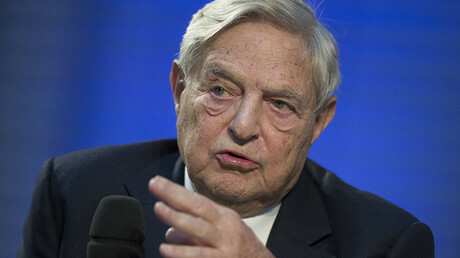 Nor did Soros have any harsh words of condemnation for Turkish President Erdogan, who extended his thanks to Russia for cleaning up Syria’s terrorist infestation problem by shooting a Russian fighter jet out of a clear blue sky in November, thereby ratcheting up tensions in the Syrian theater to unprecedented levels. 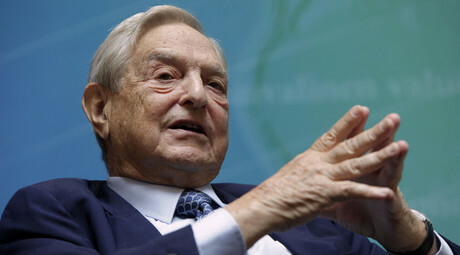 Unfortunately, individuals like George Soros, who certainly have the funds and the brains to make a positive difference in places like Europe and Syria, have chosen instead to spread vicious anti-Russia propaganda so thin and conspicuous it actually flies back and damages their own misguided cause, as opposed to the purposeful actions of their purported enemies. This article first appeared in a slightly altered form in Rethinking Russia.